First of all thanks for coming to my blog and I hope you find the information here helpful and useful. 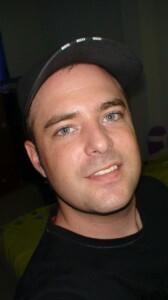 My name is Chris and I moved to Thailand permanently since 2008 and have no plans to leave the place either! And why would I? Thailand is a great place to live and you're probably reading this blog because you either do or wish you could live here. I started LivingThai.org because when I first moved to Chiang Mai there was literally no information I could find about the nightlife. Like none at all! Not even a list of all the nightclubs in Chiang Mai so I decided to make it my mission to Map out the party spots of Chiang Mai but it morphed to include most of Thailand. 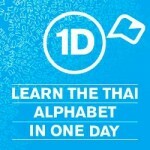 When I moved to Thailand I had a lot of help from long term expats who schooled me in the ways of Thailand. I figured out how to make really good money here and basically living the way I'd like to live. I don't like the idea of the term digital nomad which implies you must somehow be travelling the globe on a whim to call yourself a true net citizen. Not at all. I believe there is more to just delving deep into just one culture and trying to make sense of it. Learning the language dating their women and enjoying a life not like your previous. Living Thai is therefore a metaphor for living life in a distant land. If you need some advice or have an idea for a story then please don't hesitate to Contact Me I may not reply to everyone but i do read every email.